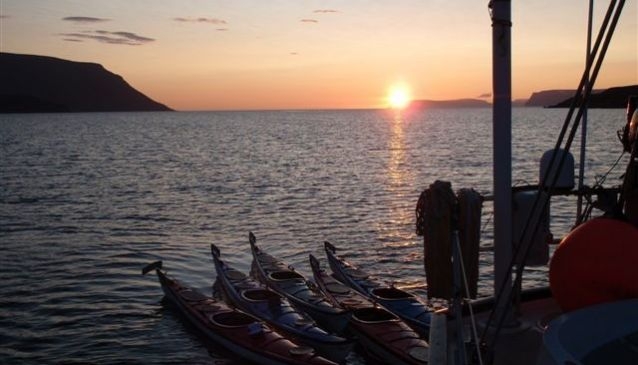 Borea Adventures is a Westfjords-based adventure company which operates custom tours featuring, to name a few, ski excursions, canoeing, hiking, camping and Northern Lights tours. Their focus on personal service and authentic experience, offering for instance lodging in an old farmhouse and camping under the midnight sun. In the summertime, tours leave daily from Ísafjörður in the West Fjords of Iceland. The hiking trips include walks in the vicinity of Ísafjörður well as excursions in Hornstrandir. They also offer longer tours of up to 7-8 days. The operators have decades of experience in outdoorsmanship all over the world, as well as training in mountaineering, first aid and mountain rescue, amongst other things. They are locals to the West Fjords and know the area inside out, whether for canoeing, hiking or skiing.